Situated within its own courtyard The Quadrangle is great for large groups, with the added advantage of having private accommodation too. Being a converted stable block ensures that it has retained a lot of character, whilst the newly built living / dining area has all the advantages of a wonderfully spacious, light building. 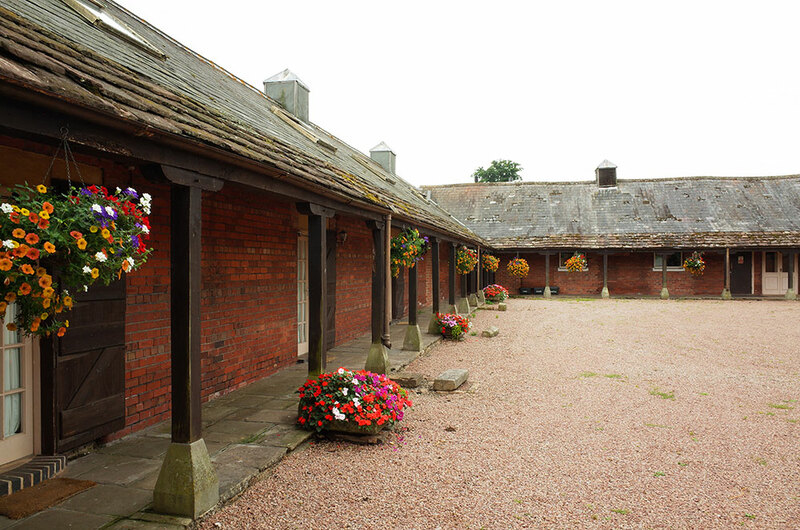 The converted stable block has 9 bedrooms. This includes 3 self-contained apartments each with their own lounge, kitchen and bathroom. One of these apartments has a king size and single bed. Other bedrooms include 5 doubles and a twin bedroom; 3 of the bedrooms share a shower room, all others are en-suite with baths and power showers. The apartments can accommodate extra beds if required. All are centrally heated. Towels and all bedding supplied.